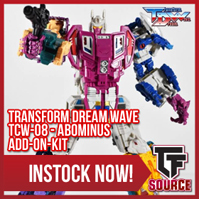 New Transformers Archive - TFSource News – ZT Kronos, Silver Arrow, Downthrust, DNA Add Ons & More! 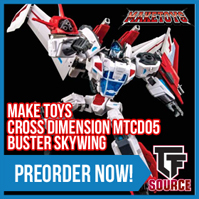 TFSource News – ZT Kronos, Silver Arrow, Downthrust, DNA Add Ons & More! 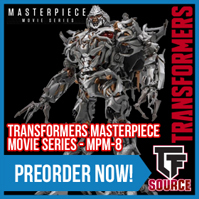 TFSource News – ZT Kronos, Silver Arrow, Downthrust, DNA Add Ons & More Arriving this week! 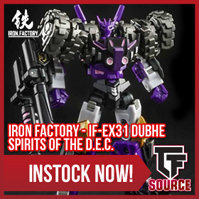 – Iron Factory – IF-EX31 Dubhe – Spirits of the D.E.C. One of the largest combiners ever, this MP scaled combiner stands approximately 22" / 55CM tall in robot mode. 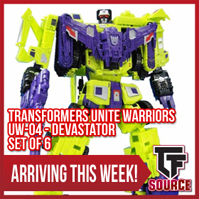 The reissue of Transformers Unite Warriors – UW-04 – Devastator Set of 6 will be arriving this week! Get your preorder in today! 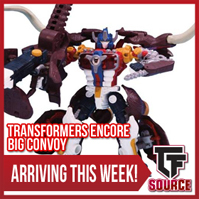 Transformers Encore – Return Convoy Instock! 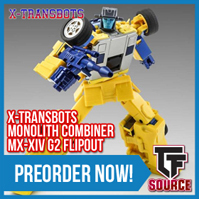 Add it to your TFSource cart! 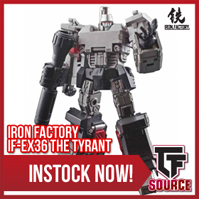 Iron Factory – IF-EX31 Dubhe – Spirits of the D.E.C. 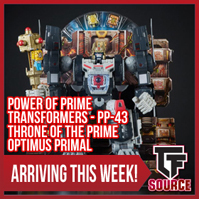 Arriving this week – Transformers Power of Prime – PP-43 Throne of the Prime Optimus Primal! Preorder it today! 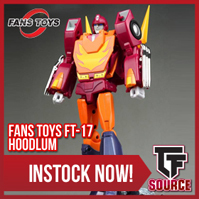 TFSource Restock! Transformers Masterpiece MPM-7 Bumblebee is now restocked! Now up for preorder – Transform Element – TE-01 OP! Preorder yours today! Now up for preorder – Mech Fans Toys MF-34 Huge Dragon! Check it out below. 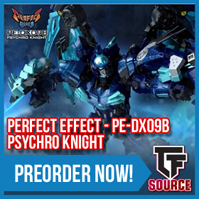 Now up for preorder – Planet X – PX-C01 Ismenios Add on Kit! The Kit includes alternate wings, guns, an alternate head and more! PX-C01 Ismenios is sold separately and not included as part of this set. Planet X – Neptune limited reissue Instock! Get yours today! We have a limited amount of the SGC Exclusive Purple Power Baser now instock! 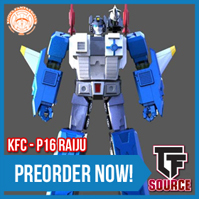 This SGC exclusive is limited to just 500 pieces worldwide!